The mortal body, metamorphosis, longevity, immortality, and eternal life. These five realms, step by step, reveal themselves in front of you. As a normal person, how can one try step by step to reach and open the door to eternal life? Good story, good MC and good characters. I just hope the speed of translation will pick up. To make the story well known you should produce about 300 chapters. .... where one of the pink princes says "We shall build the country of our dreams. Within the country imagined by the Devil Emperors, people, Demons, and Devils shall coexist, living together in cities, conducting business, growing crops, and managing all together, devoid of discrimination and fighting. It will be a country which doesn’t care about appearances and incompatibilities. Since ancient times, coexistence of humans, Demons, gods, and Devils has been the dreams of a Golden Age. You Immortal Path followers are divided between beauty and ugliness, good and evil. You have let humans, Demons, and Devils massacre each other, and have caused many wars. Right now, all the killings shall end, and your beautiful yet ugly, good yet evil Immortal Path will be extinguished. Between the heavens and earth, we shall usher in a world devoid of beauty and ugliness, good and evil. Humans, gods, Demons, and Devils shall coexist in a new Golden Age..."
I give it three stars because the MC has not shown a backbone. After 51 chapters, this guy is still a servant (slave), and is following one of his terrible masters. MC is kind of like an _Uncle Tom_, xuanhuan style. 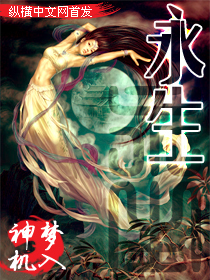 This is probably one of my favourite xianxia novels. The plot remains consistently engaging and it has a FL with actual depth and inner-conflict. This is one of the most underrated novels on this site. Lovely story so far like what has happened and I am currently hoping the story keeps up at this pace. Similar to Mo Tian Ji if anyone reads that one.